Balin’s songwriting credits for the Airplane included “It’s No Secret,” “Today,” “Comin’ Back To Me,” “Plastic Fantastic Lover,” “Share a Little Joke,” and “Volunteers” the latter sung at Woodstock. Another co-founder, Paul Kantner, died in January 2016, the same month the Recording Academy named Jefferson Airplane one of its annual Lifetime Achievement Award recipients at the Grammys. Balin and the Jefferson Airplane were pioneers of psychedelic rock — their sound fused fuzzy, distorted, reverb-filled tones with influences from folk, rock and the blues. 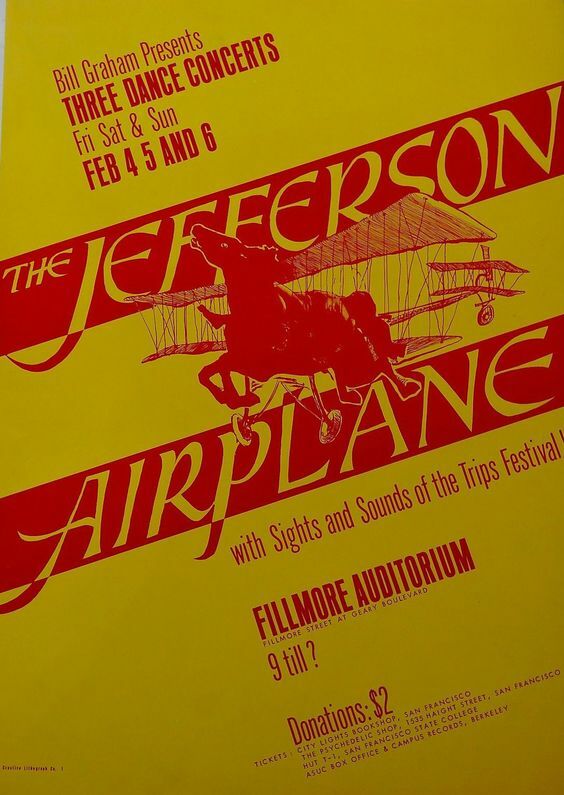 The Airplane helped define the San Francisco music scene in the 1960s, debuting at the Matrix nightclub in 1965, about a year before its first album, “Jefferson Airplane Takes Off,” was released.Jefferson Airplane formed in 1965 when folk artist Balin decided to create a rock group in response to the Beatles-led British Invasion. The band quickly attracted a local following – and when fledgling promoter Bill Graham opened his legendary Fillmore Auditorium, Jefferson Airplane served as the first headliner. Signed to RCA Records for the then-princely sum of $25,000, the band scored five gold albums in the US, including 1967’s Surrealistic Pillow and 1968’s Crown of Creation in their first run of success. 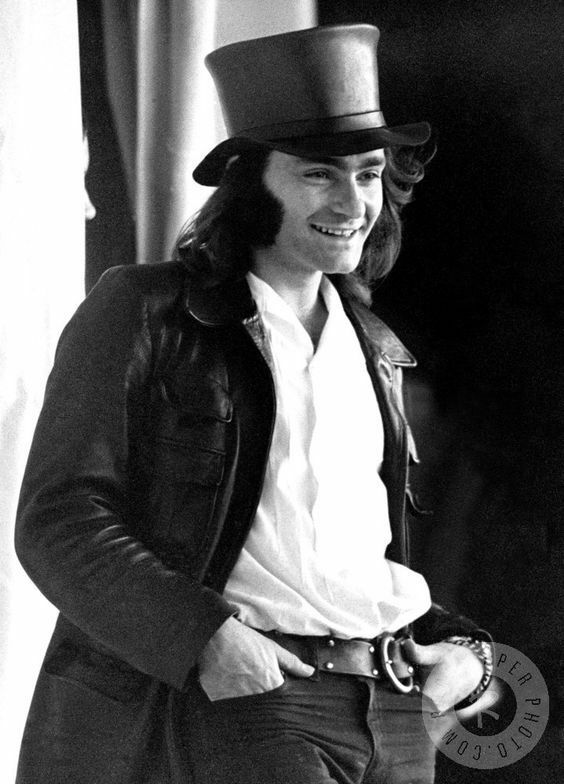 Marty Balin wrote and sang some of the best-loved songs of both Jefferson Airplane and Jefferson Starship. In memory of the singer, who passed away on September. 27th, 2018. Here are some of the great songs. Marty Balin started his musical journey as a pop singer in the style of Gene Pitney or Paul Anka. In 1962 he signed to Challenge Records, releasing two singles that went nowhere. He then immersed himself in the folk music scene, fronting a group called the Town Criers, which also failed to ignite. While Balin re-thought his musical path, a business opportunity opened up that would tie this all together. He and friend Elliot Sazer took over a failing pizza shop called the Syndicate, and relaunched it as the Matrix, which would become a new music venue for San Francisco’s up-and-coming rock and rollers. Balin, along with Signe Toly Anderson, would share lead vocals in the original lineup. Balin wrote and or co-wrote most of the songs on their stunning 1966 debut, “Takes Off”. Within the year, Anderson left the band to raise a family, leaving the door open for Grace Slick who would take the band up the charts with “White Rabbit” and “Somebody to Love.” It would be, however, Balin who remained the heart and soul of the band over their often tumultuous life span. Grace Slick, whose powerful vocals added another unique element to the band’s sound, joined the group in 1966, bringing those two songs with her from her previous band, the Great Society. Those songs, “Somebody to Love” and “White Rabbit,” became Top 10 hits the following year on “Surrealistic Pillow,” one of the defining rock albums of the late ’60s. As Kantner and Slick would get farther out in their concepts, Balin would remain the more grounded voice in the band, but would often be out-voted by the others. His input into the band became less and less, but still potent with songs like “Volunteers” and “Share a Little Joke.” Though he left in 1971, he later would once again hook up with Slick and Kantner in Jefferson Starship in 1974, writing the band’s biggest hit “Miracles” in 1975. Balin had a warm, pure and honest voice, which worked as a perfect counterpart to Grace’s more brash style. He took part in various reconfigurations of the group over the years, but never really receiving the respect he was due for starting and steering the band at the start. In addition to his strengths as a singer, Balin was an accomplished songwriter as well, and he contributed several key numbers to the Airplane’s canon early on and later supplied several successful songs to its designated successor, Jefferson Starship. Although Starship was Slick and singer/guitarist Paul Kantner’s vehicle after the mothership’s demise, Balin’s loyalty to his former flightmates helped give that band its first hint of commercial success. Here a mere handful of Balin’s finest moments here to enjoy. There will never be another band like Jefferson Airplane. One of Balin’s most indelible contributions to the initial Airplane album Jefferson Airplane Takes Off, “It’s No Secret” helped define the Airplane’s oeurve, a striking sense of defiance coupled with an emphatic emotional investment. Balin seems to teeter on the brink of desperation in trying to convince a skeptical lover that he’s all in as far as their relationship is concerned (“It’s no secret, How strong my love is for you/ It’s no secret, when I tell you what I’m gonna do/ ‘Cause I love you, yes I love you”), and indeed, by the time the song reaches its soaring conclusion, it becomes a notion that shouldn’t be taken for granted. Most of the band’s third album, After Bathing At Baxters, was under the hands of Kantner and Slick, but Balin got this one gem into the mix. A stomping rocker co-written with Kantner, its style slots in between the more psychedelic start and end of side one of the album. Balin was a brilliant balladeer but could deliver on a rocker as well. Balin wrote and sings solo on this incredible, haunting ballad. Perhaps more than any other song on our list of the Marty Balin Songs, this captures him at his truest. The timber and tone of his voice fully in force is a thing of beauty. This song sounds even more striking today than it did in 1967. Written with drummer Joey Covington and an occasional collaborator Vic Smith, “With Your Love” was one of the final significant songs in the Airplane’s last years. It made its appearance on the album Spitfire shortly before their initial break-up. While the subject matter may have been of a more mundane variety, a style the group turned to in their final desperate grasp for commercial success, Balin’s vocal remains as impassioned as ever. Here was proof that even as the Airplane’s other engines were failing, he could still help them takeoff. The album closer on the classic Surrealistic Pillow, “Plastic Fantastic Lover” is a “pounding rant inspired by the most pervasive American addiction of all, television” according to the Jeff Tamakin bio Got a Revolution. While the studio version is a concise rocker clocking in under three minutes, the version the band let loose at Woodstock Festival is an amphetamine-fueled juggernaut of rock and roll fire. Showing what a great band, They could be so fierce live. Sung in the manner of a tribal chant, “Crown of Creation” finds Balin soaring above Slick and Kantner’s insistent wail, adding to the song’s irrepressible urgency and forward thrust. Taken from the album of the same name, its militancy and unapologetic verve made it a standout of their early sets and another example of their populist platitudes. Here again, there’s a menacing sense of irony and insistence at play (“You are the crown of creation/ And you’ve got no place to go”), seemingly assuring its subject that “the stability you strive for” will be found, but only in barren environs they refer to as “a place among the fossils of our time.” It’s a dismal assessment indeed. By 1975 the Airplane were long gone and the Jefferson Starship had taken on a life of its own. Though Balin first connected with them in a somewhat tentative fashion, he soon slid right into place, providing them with their biggest hit as Jefferson Starship. “Miracles,” a three-minute edit of the seven-minute album track, hit No. 3 on the Hot 100 in early 1975 thanks to Balin’s beautiful lyric and vocal. In many ways “Caroline” was Balin’s audition contribution to Jefferson Starship. Balin hadn’t yet committed to joining the band on a full-time basis, but this dynamic ballad, recorded for the album Dragonfly, helped transform the group from a loose conglomeration of fellow travelers with little commercial intent into a viable radio-ready entity that was well worthy of taking on the Airplane’s legacy. Shedding the psychedelic sheen for a sound well in keeping with the early ‘70s AOR, Balin helped the band make the leap. Though never released as a single, “Come Up The Years” still sounds like a hit, on which Balin and Kantner harmonize on this tale of new love. Like so much of the band’s early material, its simplicity is the key to its success. Throw in a glockenspiel for the solo and we have a song that, like so many of theirs, defines the era from whence it came. This rocker opens side two of the 1967 classic Surrealistic Pillow. As strong lyrically as musically, “3/5 of a Mile In 10 Seconds” was all Balin. With lines like “Do away with people laughin’ at my hair / Do away with people frownin’ on my precious cares / Take me to a circus tent where I can easily pay my rent / And all the other freaks will share my cares.” Though that may seem rooted in ’67, it sounds just as applicable well after the end of the Flower Power movement. Arguably one of the greatest opening tracks to an album, “She Has Funny Cars” was co-written with lead guitarist Jorma Kaukonen and still packs a punch like no other. The galloping drums give way to a monster guitar riff before Balin sails in on lead vocal. Soon joined by Grace Slick, this song pretty much defines Jefferson Aiplane stylistically. The 1969 album Volunteers certainly ranks right up there with the band’s finest material. From the opening call to arms of “We Can Be Together” through the title cut that closes the LP, it’s one hell of a ride. The song “Volunteers” was supposedly first inspired by Balin hearing a Volunteers of America donation truck out in the street. He jotted down some lyrics and, with the powerhouse guitar riff from Kantner, created a genuine anthem for the end of the ’60s. The title track from the Airplane’s most insurgent effort of their collective career, “Volunteers” was exactly the anthem needed when dissent and desperation raged across the country throughout the Nixon era of the late ’60s and early ’70s. The emphatic rallying cry, “Up against the wall mother fucker,” emphasized the outrage and intent inherent in Balin and Slick’s banshee wail. This was indeed protest with both passion and purpose. “Today” stands as one of the most beautiful love songs ever written. A simple guitar riff dripping with haze and minimal percussion are all that is needed to accompany Balin here. Marty’s voice is so pure and bare. Eventually Slick comes in to harmonize, making it all the more beautiful. Like most of the album, it is drenched in reverb, which only adds to the ethereal nature of the songs. Legend has it that this arch ballad, which made its initial appearance on the Airplane’s defining album Surrealistic Pillow, was written on spec in hopes of securing a cover by Tony Bennett. That never happened, of course, although Balin’s emotive delivery made it an unlikely addition to an album known mostly for psychedelic suggestion. Jerry Garcia’s simple repetitive guitar figure adds to the track’s poignancy and design, but it’s Balin’s heart-wrenching vocal that ensured its searing embrace. A staple of the Airplane’s set during their prime, this Fred Neil composition was radically transformed as a fiery rocker by the time it made its appearance on the band’s early live album Bless Its Pointed Little Head. Another dynamic vocal duel between Balin and Slick, it acquired an undisputed urgency that turned it into one of the band’s most memorable rallying cries. “Would you like to know a secret just between you and me?” they ask in unison. It’s an entreaty the listener dared not resist. No ’60s concert scene was better documented than the San Francisco explosion . But of the official releases that came out at the time, the one to have is this Jefferson Airplane set, recorded during October ’68 dates at SF’s Fillmore West and a month later at Fillmore East in NYC. Here in that time between Monterey and Woodstock, between the albums “Crown Of Creation” and “Volunteers” , the band was growing daily in confidence, muscle and a knack for making the most of the moment. The constantly shifting dynamic of vocal triad Grace Slick, Marty Balin and Paul Kantner was a nimble beast, but more evident than ever was how much the tandem of guitarist Jorma Kaukonen and bassist Jack Casady formed the beating heart of this band. Must-hear song: Balin’s “Plastic Fantastic Lover” has fury only hinted at on the Surrealistic Pillow studio version . But the real treasure is the version of folk figure Fred Neil’s written staunch and steely “The Other Side Of This Life” , a live Airplane staple from the early days, but never before seeing official release. The cheat: Not only was it pieced together from several dates, some of the songs themselves are multi-date spliced jobs. 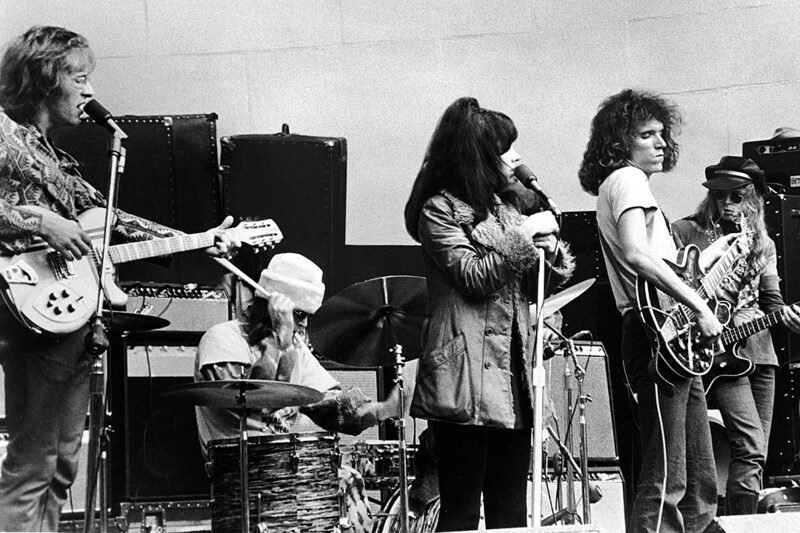 Jefferson Airplane made one of the defining albums of the band’s career, with dynamic vocal interplay among its three singers (Marty Balin, Grace Slick, Paul Kantner), a blues spotlight for guitarist Jorma Kaukonen and Rock Me , a swirling rendition of Donovan’s “Fat Angel” (“Fly Jefferson Airplane, gets you there on time,” it goes, making this a self-referential self-tribute), and a soaring 3/5 of a Mile In Ten Seconds . The Airplane were a strange amalgam, part post-folk (there’s a terrific take on Fred Neil’s “The Other Side Of Life” on ‘Pointed Little Head’), part psychedelic rock, part electric blues, and it could all get scattered, but when it locked in, they were one of the more mesmeric of the groups who came out of San Francisco scene. If you want to get a sense of what made them, on a good night, so special, you can start here. With a new singer, Grace Slick, who also happened to bring a pair of classic songs with her (“Somebody to Love” and “White Rabbit”), Jefferson Airplane’s second album in part defined the Summer of Love. The band was one of the best in San Francisco, whose scene helped shape an entire era. ‘Surrealistic Pillow,’ is a pinnacle of that period. Surrealistic Pillow was the second album by the American psych rock band, released on February 1st, 1967, by RCA Victor. It is the first album by the band with vocalist Grace Slick and drummer Spencer Dryden. Original drummer Alexander Skip Spence had left the band in mid-1966. He was soon replaced by Dryden, an experienced Los Angeles jazz drummer and the half-nephew of Charlie Chaplin. New female vocalist Slick, formerly with another San Francisco rock band The Great Society , joined the Airplane in the fall of 1966. Slick, Dryden, lead vocalist Marty Balin, guitarist-vocalist-songwriter Paul Kantner, lead guitarist (and occasional vocalist) Jorma Kaukonen , and bassist Jack Casady formed the core of the best-known line-up of the group, which remained stable until Dryden’s departure in early 1970. Jefferson Airplane singer Grace Slick is also known for that powerhouse voice – responsible for classics like ‘White Rabbit’. At a time when studio production was limited and live concerts were almost always dominated by an incredibly loud band in direct competition with an even louder audience, it made it difficult to fully appreciate voices like Grace Slick’s; but it’s in this isolated vocal track from ‘White Rabbit’ that we’re able to finally concentrate on the star of the song . The album is considered to be one of the quintessential works of the early psychedelic rock. Surrealistic Pillow was the first blockbuster psychedelic album by a band from San Francisco.